the arthritic finger of Coulagh bay before me. Heath Speedwell, Scabious, Lady’s Bedstraw. complex prepositions – the past imperfect. Annulach, Cab an Ghasáin, Boladh Cnis. 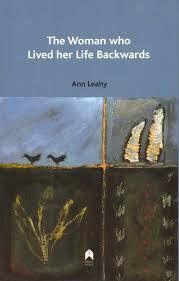 Ann Leahy’s first collection, The Woman who Lived her Life Backwards (Arlen House, 2008), won the Patrick Kavanagh Award. Individual poems have also won national awards (the Poetry on the Wall, and Clogh Writers’ prizes and others) and have twice been commended in the British National Poetry Competition. Her poems have been published widely in journals (Stand, AGENDA, Orbis, Poetry Ireland Review, Cyphers, New Welsh Review and others) and anthologies (Best of Irish Poetry 2010; The Echoing Years: An Anthology of Poetry from Canada and Ireland, 2007 and others). She has taken part in writers’ festivals in Ireland and Germany, and received a Culture Ireland bursary for a reading tour in the U.S. She grew up in Co. Tipperary and lives in Dublin.